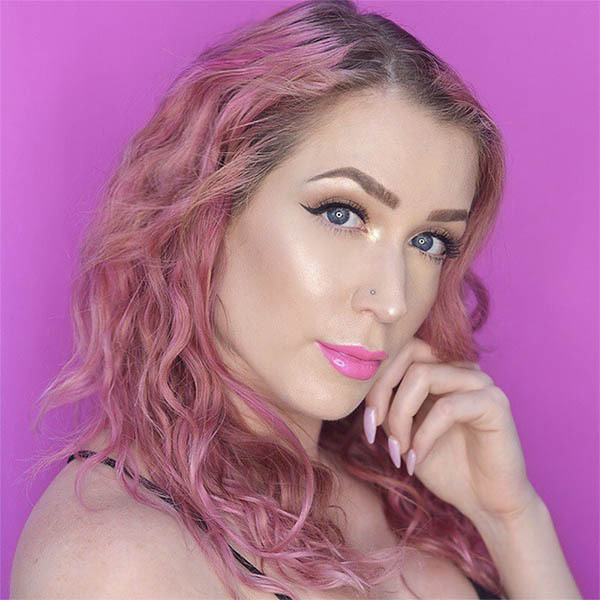 This post contains affiliate links and is sponsored by Loly In The Sky. As always, all opinions are my own. Fellow sausage dog lovers, this guide is just for you! There are tons of amazing doxie goodies on the market right now, and I have spent the last couple of months rounding up all of my favorites. 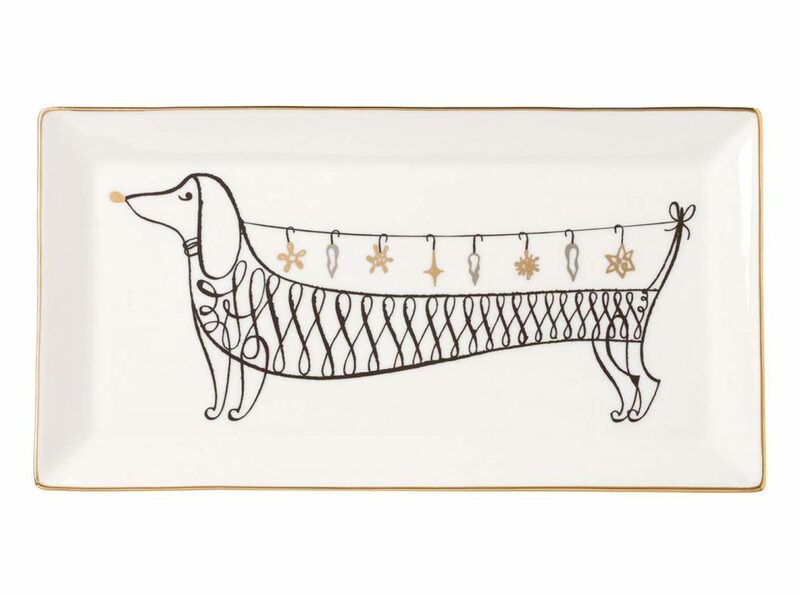 This gift guide has items ranging in price from $9.95-$118, so there is something for dachshund nuts of all budgets. 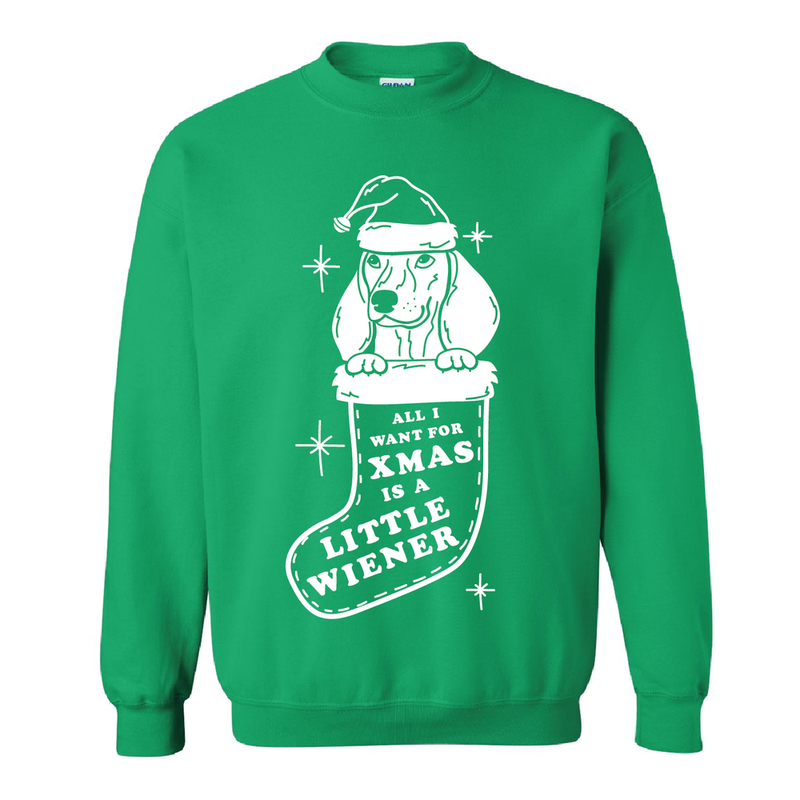 Whether you are a doxie fan or are shopping for one this holiday season, read on for my favorite weenie items of 2017! 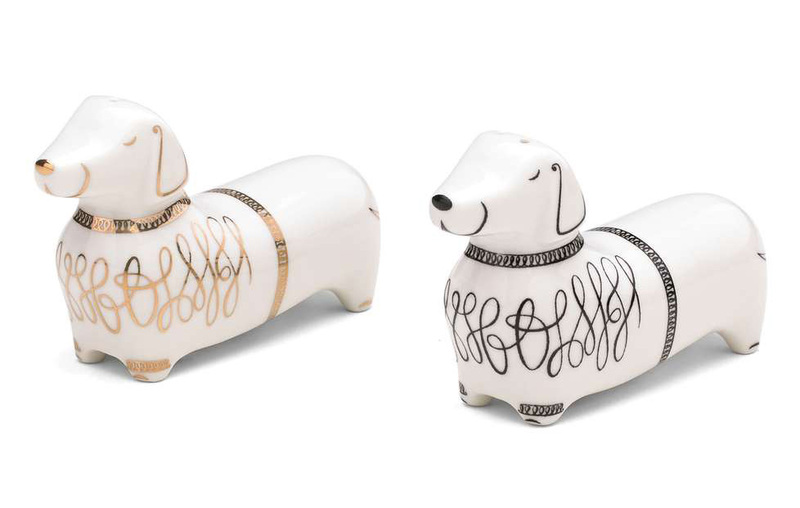 I always love Kate Spade’s dachshund items and these salt and pepper shakers are no exception! They would look adorable on any weenie-lover’s kitchen or dining table. 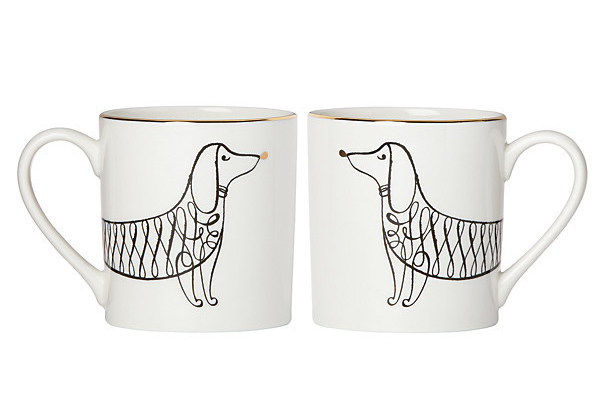 Wouldn’t it be nice to drink your morning coffee out of one of these lovely mugs while you watch your doxie inhale their breakfast and then try to coax them to go potty outside rather than on the floor? Sounds like a wonderful morning to me! This tray is so fun! It’s 11″x6″, which would be a good size to use as a decoration or to serve snacks. Dachshund-shaped cookies, perhaps? 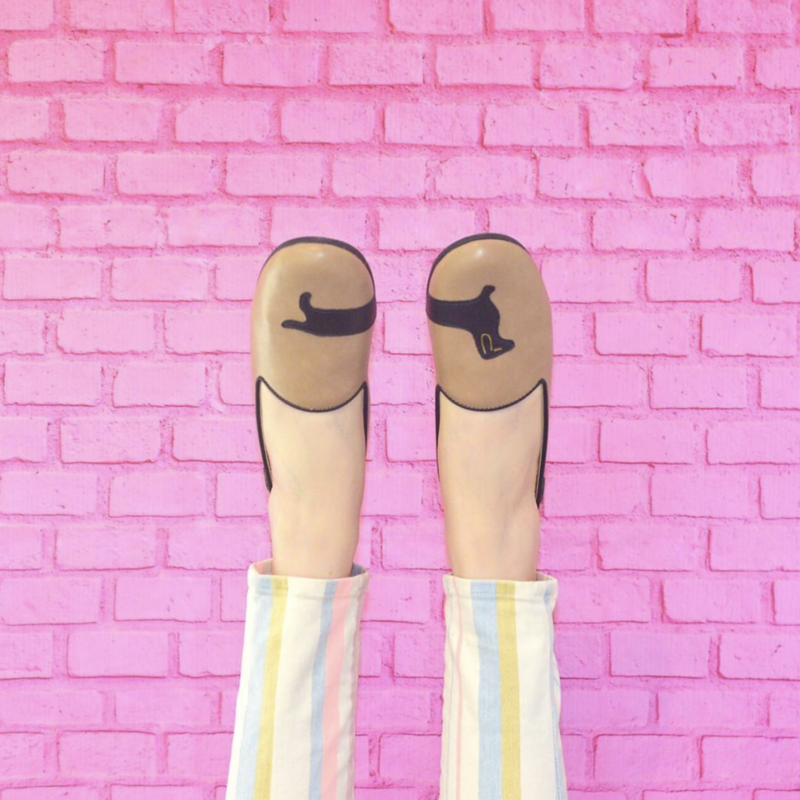 The cutest dachshund flats I ever did see! They feature vegan leather uppers and soft, padded footbeds. They are really nice quality! The doxie design across the toes is just so darling. 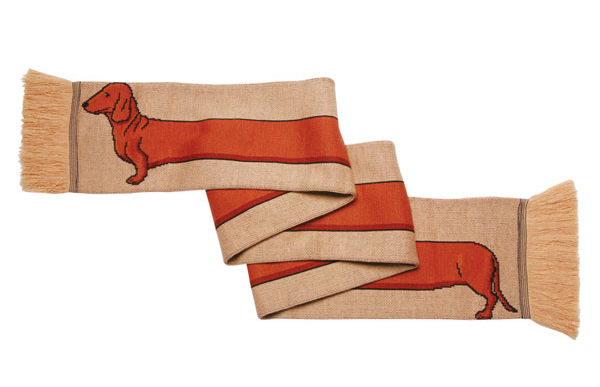 This pair is an excellent gift for any dachshund-loving fashionista! I can’t handle the cuteness of this blanket! There are other pups in the design in addition to dachshunds but I couldn’t resist including this in my guide. I love that all of the dogs are wearing hats, sweaters, and scarves. 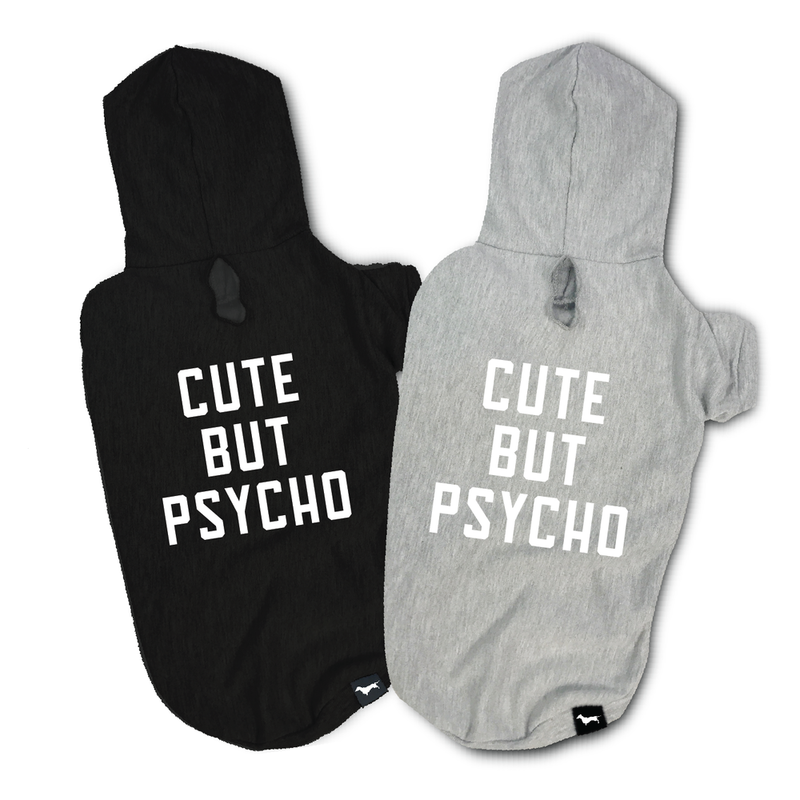 I can just imagine my weenies snuggling in this cozy blanket. Beangoods is always my go-to for all ween-related clothing. I love their casual and humorous designs, and their quality is excellent. Their sweatshirts are the best! They are super soft and cozy but still breathable. Major bonus points for being long enough for my lanky arms! I suggest taking a peek at all their clothes, but this “all i want for xmas” design is one of my favorites right now. Use code HAUSOFHOUNDS at checkout for $10 off! 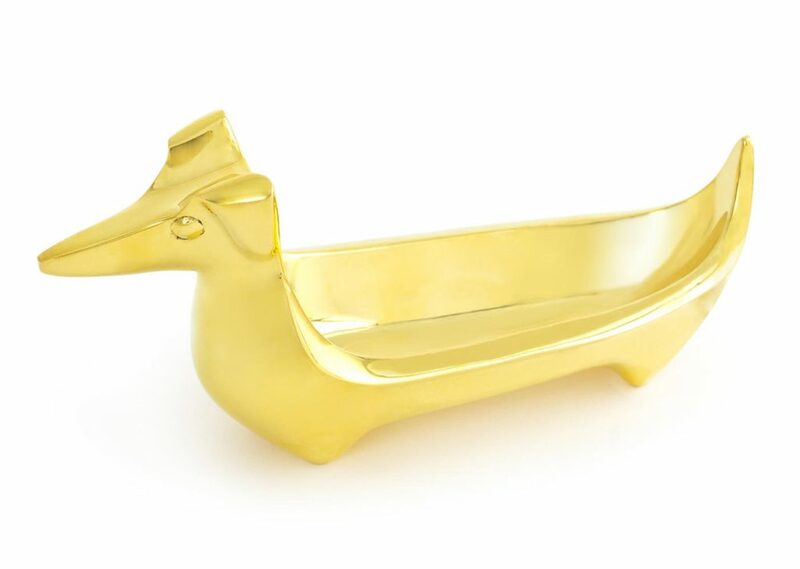 Such a sweet sausage dog jewelry dish! This is a nice little gift, and at $9.95 it is perfect if you are on a tight budget. I loooove these glasses! When I saw these I was ready to throw out all of the cups in my cabinet and replace them with these. They look expensive and high end despite their whimsical design. 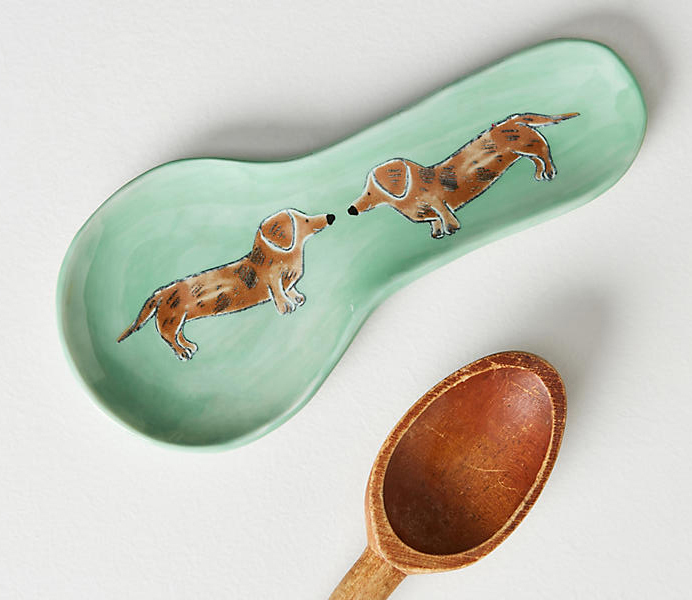 This dachshund spoon rest is on my holiday wishlist this year. What I love about Anthropologie’s kitchen items is that they take boring kitchen supplies and make them genuinely enjoyable to use. 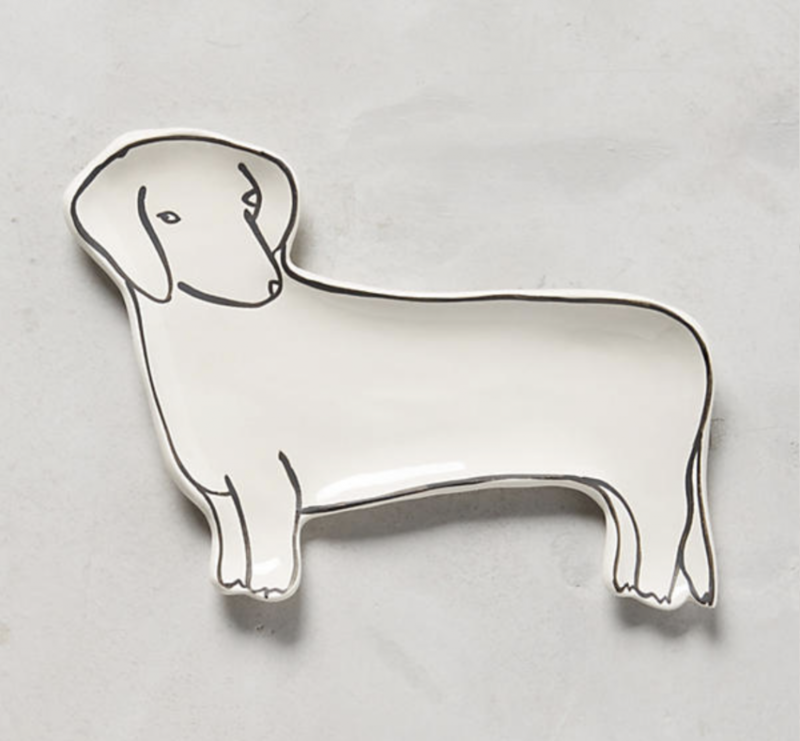 This spoon rest is certain to make any doxie-lover smile whenever they are cooking! 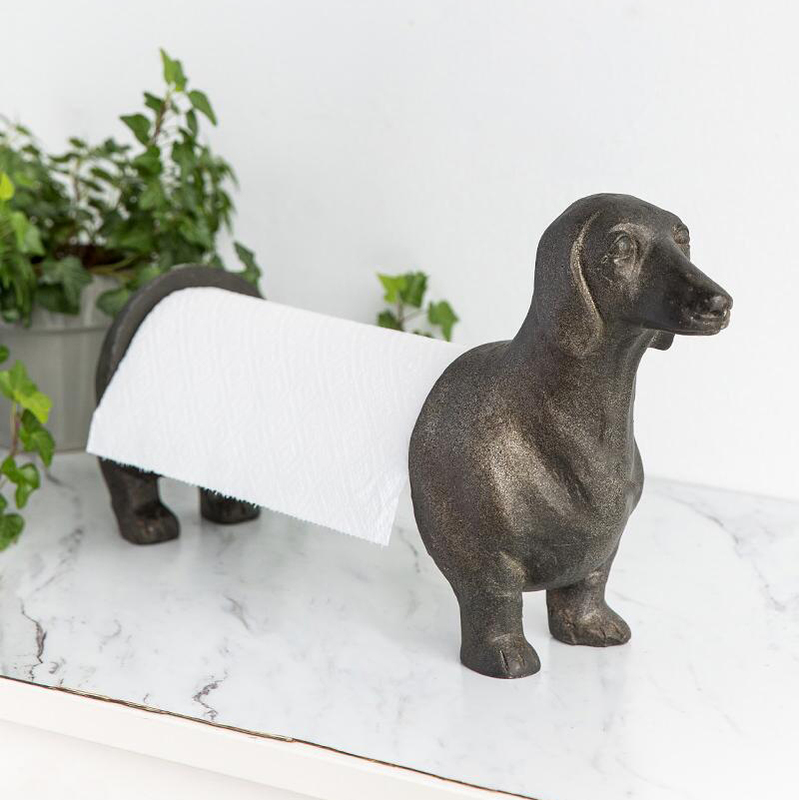 Now before you go thinking that a paper towel holder is an unusual gift, consider that some dachshund lovers (cough cough ME) have quite a lot of dachshund decor and are always looking for something unique that fills a doxie decor void in their home. This paper towel holder is a really funand nicely designed weenie accent for the kitchen. I discovered this lovely sweater in a boutique recently and I’m planning to grab one for myself soon. 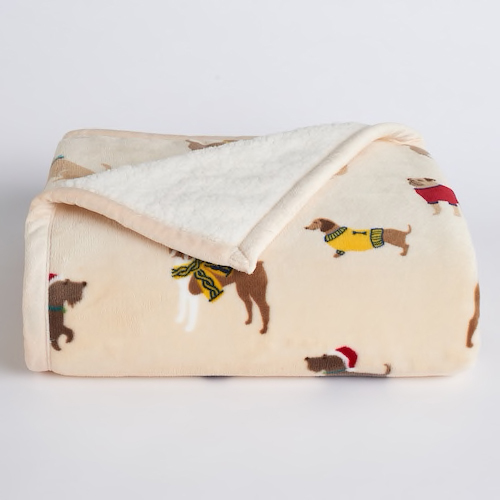 It features a dachshund design wrapping from front to back. It is beautifully made and super soft. 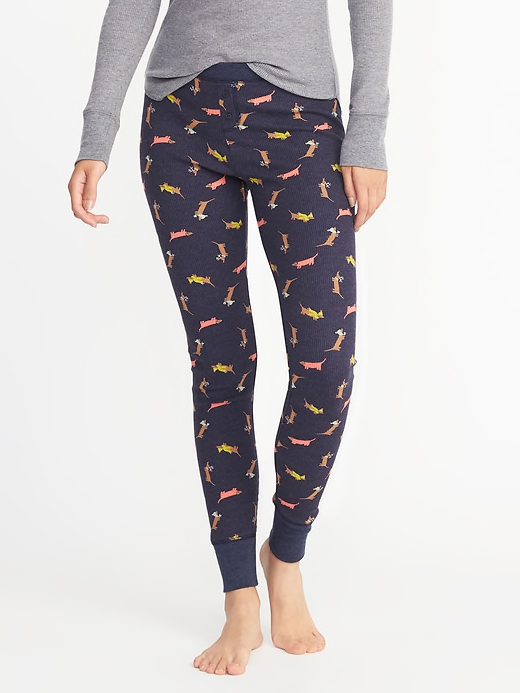 Pajamas are always a sweet holiday gift, and these doxie-print thermal leggings certainly fit the bill. They are super sweet and are a great price too. 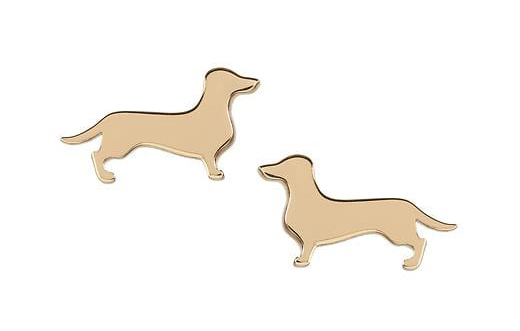 These gold-toned doxie stud earrings are so precious and dainty! 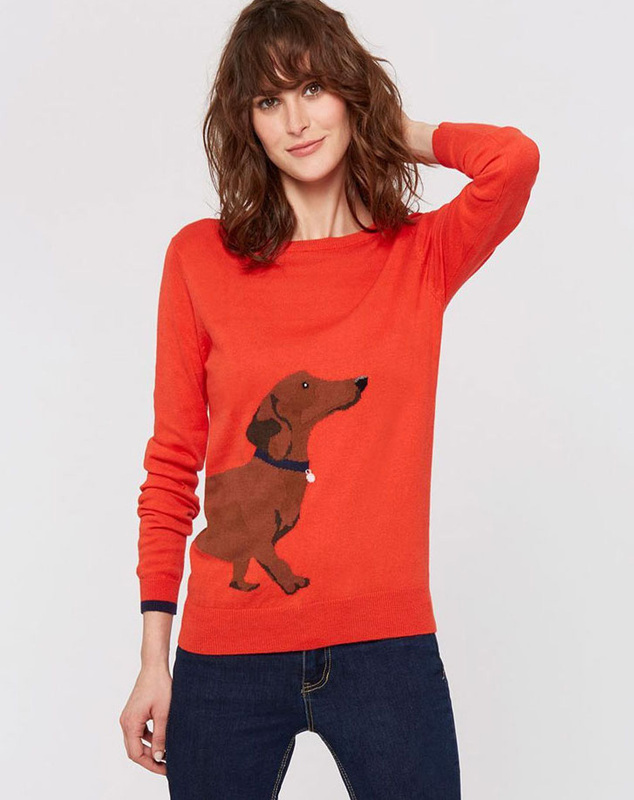 They would add the perfect little doxie accent to any outfit. 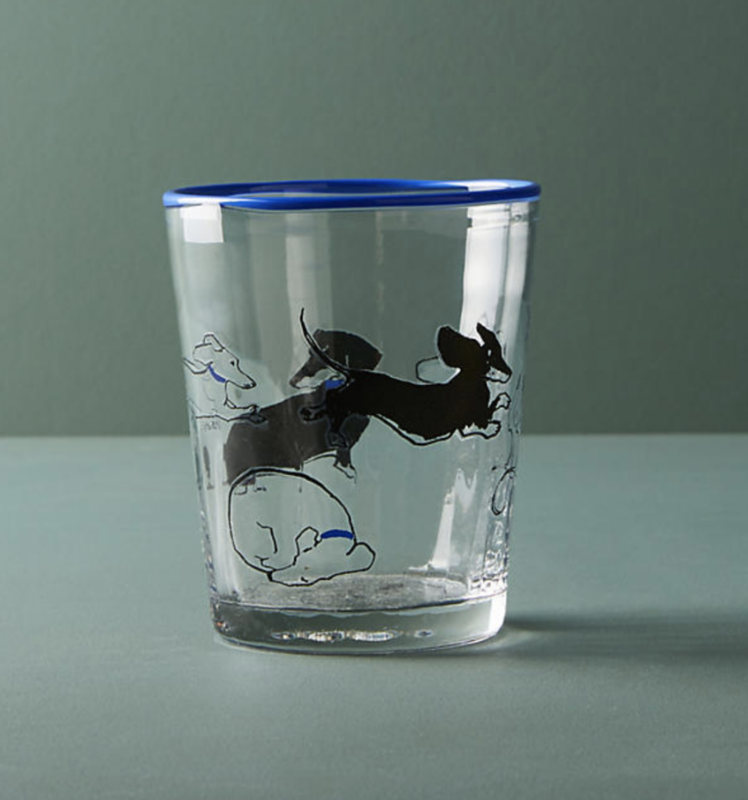 These cuties are a must for the discerning doxie diva in your life. When temperatures drop and you’re bundled up from head to toe, how do you continue to boast your doxie love with your outfit!? This scarf is the answer! It is adorable and seriously toasty too. Throw it on and no one will doubt your favorite breed even for a split second.